The video animation describes transmission of the Zika virus and gives additional information about the habits of this mosquito. This video illustrates several important preventive measures you can take using personal protection outside and inside the house and ensuring environmental sanitation around the house; these might help you avoid being bitten by the mosquito. 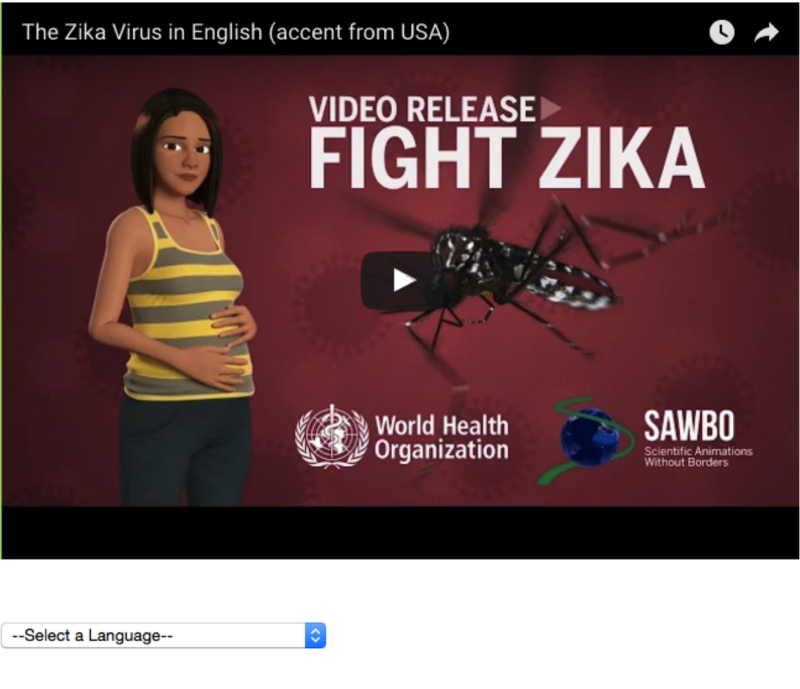 Visit the Scientific Animations Without Borders (SAWBO) website for the video animation in Arabic, Chinese, Creole, French, Portuguese, Spanish, Tagalog, and Taiwanese.